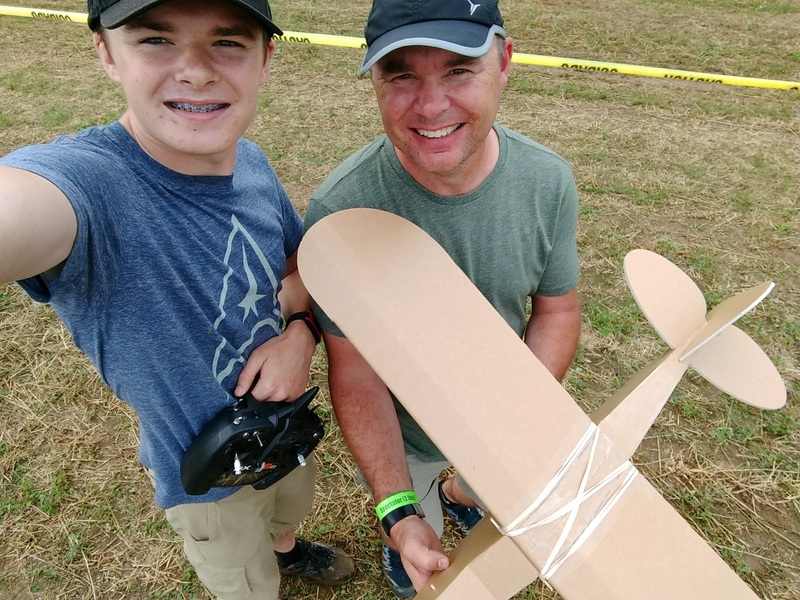 My Dad and I have been watching FliteTest for several years now and we finally took the plunge at Flite Fest East which luckily lined up with our trip to visit family. We got the FT Simple Cub and the DX6e transmitter along with the various other things you need to fly. Being our first plane, we wanted to build it somewhere where we could get help and FF was perfect. We found some very friendly people in the build tent that we sat next to who had experience building. It took us 6 hours (package said 2 hours) for my Dad and I to get the cub together. It was okay though because we had alot of fun building and learning along the way. We finally finished our new plane and found someone who also had a simple cub to maiden it for us since we had no flight experience and we only had our spectator passes. We upgraded and took our first flights. Two broken props later with only about 20 min of flight time it was time to leave FF. (we were only there Thursday) We both couldn't wait for our new props to arrive from amazon so we could fly again. When we finally got them we went to a park near my grandmas house and flew. Walking out to a field we caught the attention of a newspaper reporter eating lunch. 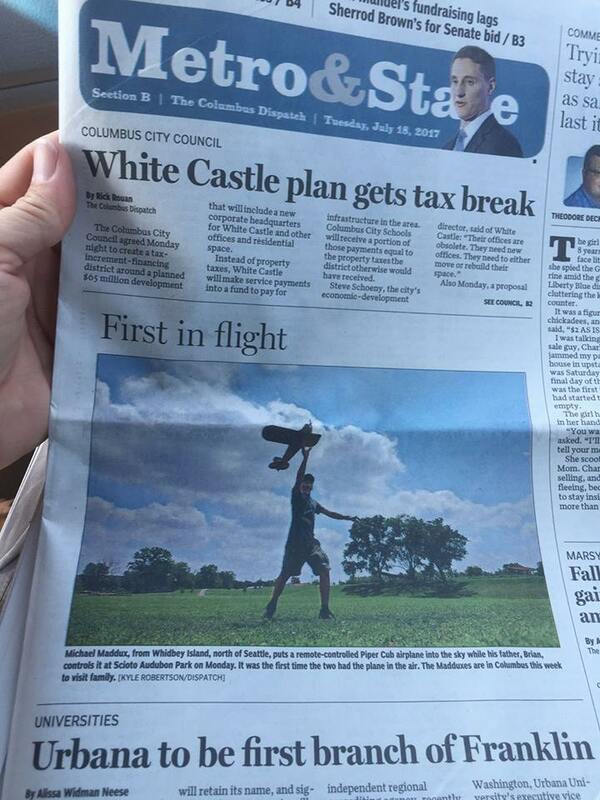 He took some pictures while we were flying and put them in the Columbus Dispatch (7/18/17). My Dad and I both flew a lot, crashed a lot and had a blast!!! 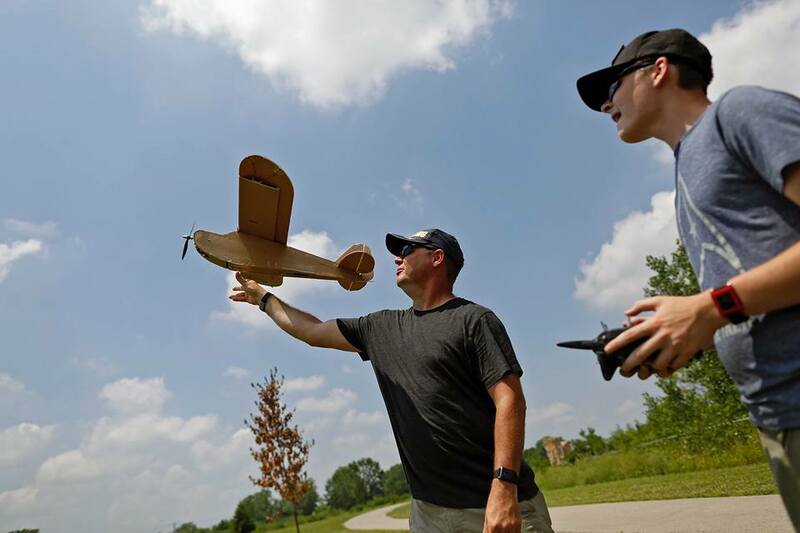 CAPTION: Michael Maddux, from Whidbey Island, north of Seattle, puts a remote controlled Piper Cub airplane into the sky while his father, Brian controls it at Scioto Audubon Park on Monday. It was the first time the two had the plane in the air. The Maddux's are in Columbus this week to visit family. What a great first experience. Continue having fun.! Now that is indeed very cool. This is awesome! Congratulations on your "First (in)-flight"! 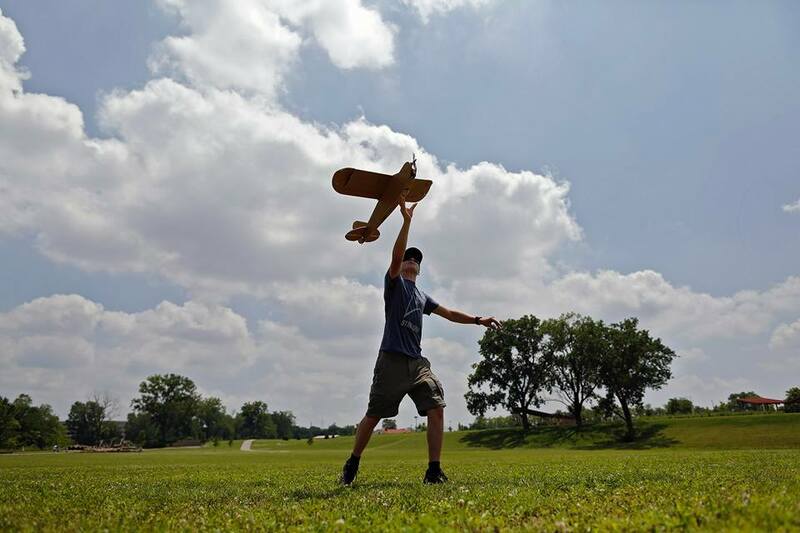 Great entry into the hobby, the news, the forums, and the Flite Test family. Welcome! Wow, how cool! Welcome to the forums! Very nice!!! Welcome to the forums!!! 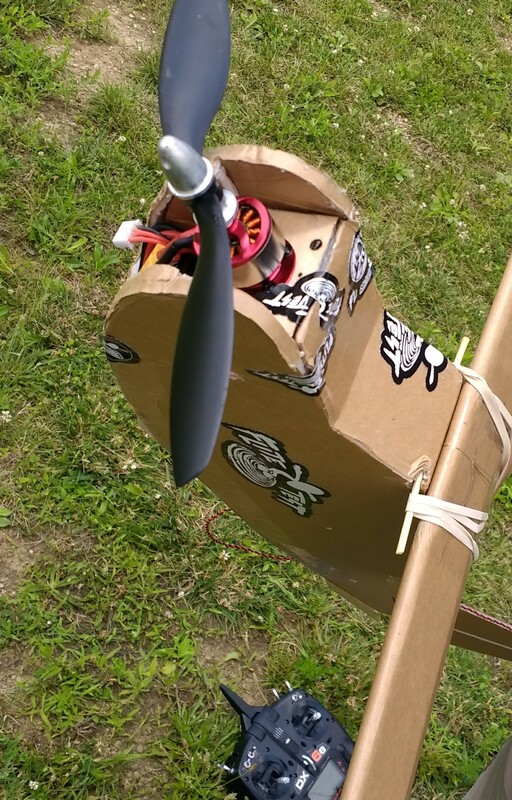 Great experience for your first FTFF and RC flying in general. Welcome to the family! What an experience! There is so much I enjoy about this. And now all the great experiences you've gained from this you can help others to enjoy. Actually it's already begun with the newspaper article and you sharing it all here. Having been in the Navy I know Whidbey and suspect you've had some exposure the military aircraft in the area. I've enjoyed my trips there. Do you have others in the area also interested in the hobby or any you think might like sharing the fun? I'm glad you made it to FFE. I was there too. It was my first time making it there, finally. Welcome to the forum. I look forward to seeing more of you and your father's fun.